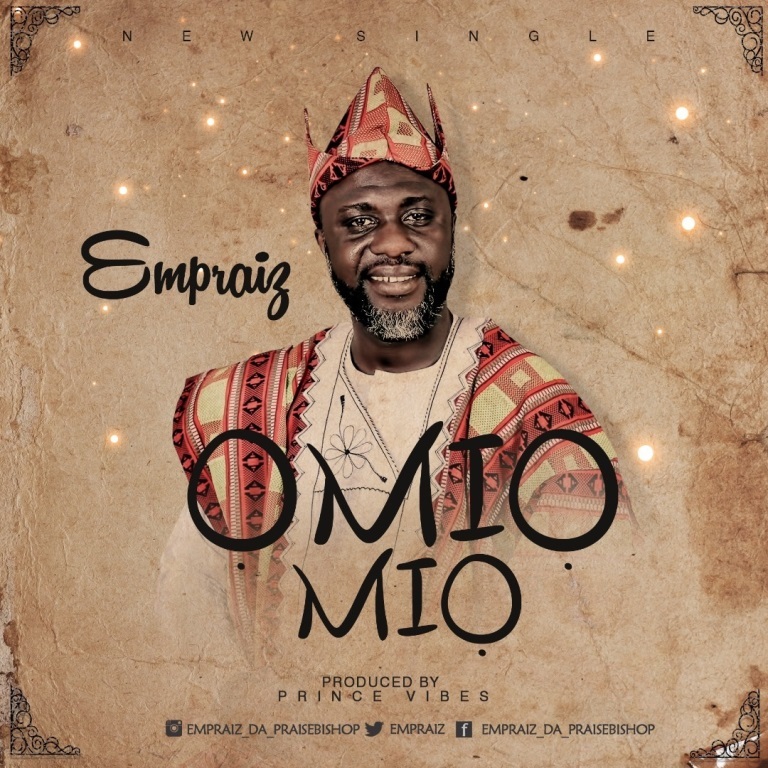 Lagos based gospel music minister, music director and songwriter Emmanuel Olowoyeye popularly known as Empraiz The Bishop of praise pulls all the stops on his newest single ‘Omiomio‘ produced by Prince Vibes. The title ‘Omiomio’ which loosely translates to sweetness in the English language is an Urhobo slang that has being in use since the beginning of time. Empraiz has been actively involved in the music ministry for over two decades with appearances within and outside Nigeria, he has been privileged to minister with various notable international artistes like Sammie Okposo, Samsong, Eben, Frank Edwards, Sinach, MidnightCrew, Tye Tribett, Ron Kenoly, Bob Fits, Alvin Slaughter, Micah Stampley and Byron Cage just to mention a few. Empraiz is currently the coordinator of ”Empraiz ive and Loud”, Supernatural Night Of Worship (SNOW) and also the co-organizer of ”Praise Wine Concert” amongst other concerts within and outside Nigeria.